The assembly of Chinesteta handcrafted lures is a very precise process, very different from mass production and that looks to create unique pieces. With all the knowledge and experience of more than 15 years of manufacture and testing, these wooden craft lures are the ideal choice for fisherman. Our Chinesteta Lures this 2018 have obtained the prestigious seal of the A of craftsmanship of the Comunitat Valenciana. 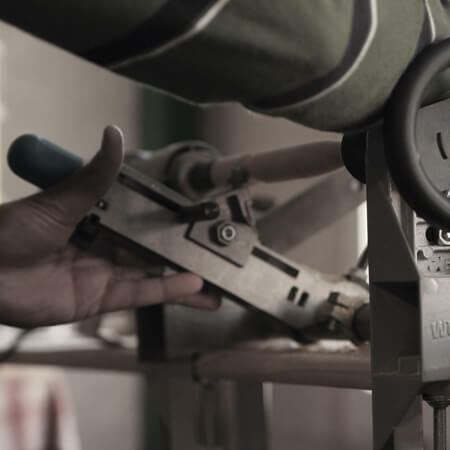 This award is only given to artisans who manufacture quality products, after a rigorous study of the product. For us it is a reward for the work we have been doing since 2004. We will give more information about our artisan fishing lures and we will have help to continue improving our business. First, we cut a strip of wood to the right size. Each model has a specific size, designed for a type of fish or a specific need. We use a heavy wood, especially suitable for making fishing lures, as it ensures a good cast and buoyancy. 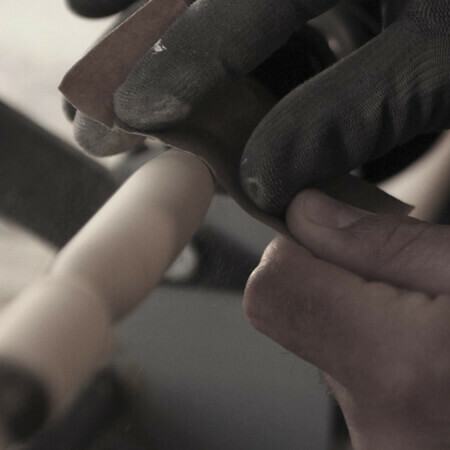 We shape the crafted lures one by one with a lathe. 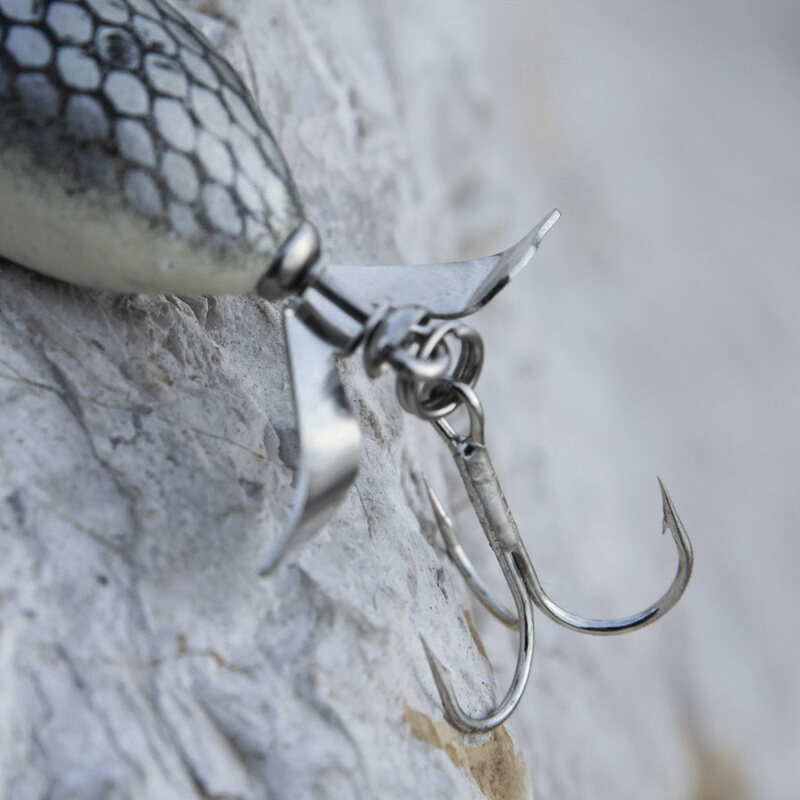 There’s nothing quite like a unique handmade lure, and all are tested to ensure their effectiveness. 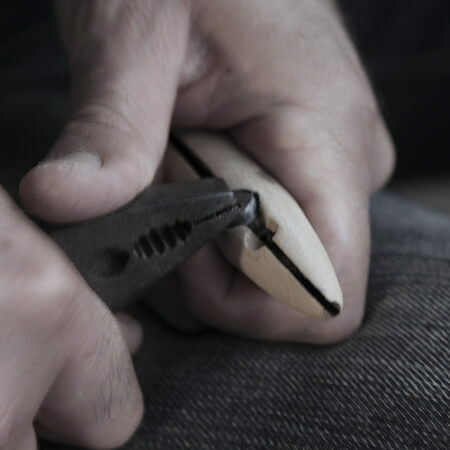 We make the corresponding holes in each wooden crafted lure in hand, and attach the lead. Then we cover them well and sand them, making the surface is smooth and even. We then add a sealing layer to the lure, so that the wood will not be damaged when it comes in contact with the water. This layer is also sanded and painted white. 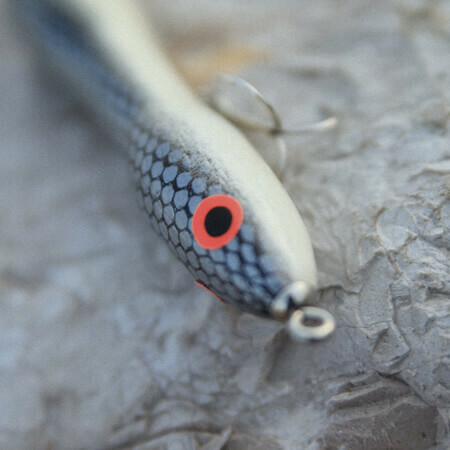 Once sanded and painted, we paint the lure with an airbrush. We also add eyes and scales, if needed. To obtain the best results, we varnish the lure and let it dry for a full day. We then re-varnish it and wait another day until it is completely dry. In total, there are two full days dedicated exclusively to the varnishing. Once it’s ready, we check for any imperfection. Finally, we assemble the rings and triples that each model needs. 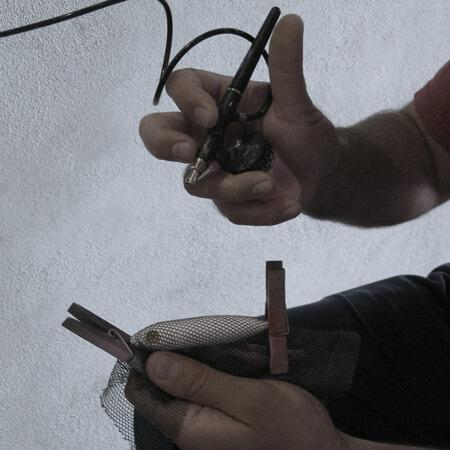 We always use the best quality materials to ensure the highest possible efficiency. The Chinesteta catalogue includes wooden lures of all kinds, designed to meet very different needs. Immerse yourself in our range of products and choose the one that best suits your needs.